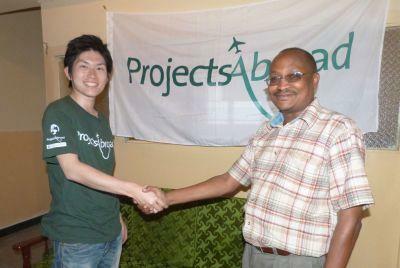 The Projects Abroad team in Kenya are thrilled to have welcomed their first volunteers onto our Care project - Takuya Yamanaka from Japan and Victoria Strømsodd from Norway! Our Kenya Country Director, Karanja BK, has expressed great excitement about the future of our projects in Nakuru and is awaiting the arrival of our next volunteers with anticipation and open arms. Kenya is Projects Abroad’s newest destination and currently offers volunteers the opportunity to work on Care, Teaching and Medicine & Healthcare projects. Our placements are based in Nakuru, in the Great Rift Valley, 160km from Nairobi; from here you can explore Kenya - visit the famous pink flamingo lakes or join a once in a lifetime safari. Find out more about the opportunities available in Kenya here.